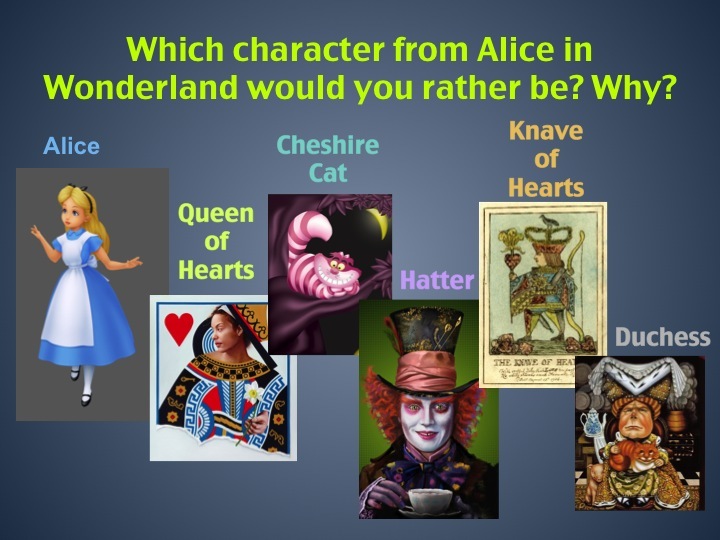 I would pick Alice because she had a great adventure, and she is the star. I will pick Alice because Alice go on a lot of great adventure. I would be the rabbit because I would actually lead a trail for Alice to go to the wonderland ,also have a great adventure on the way. I want to be hatter. I would be the Queen of Hearts because she is unique!